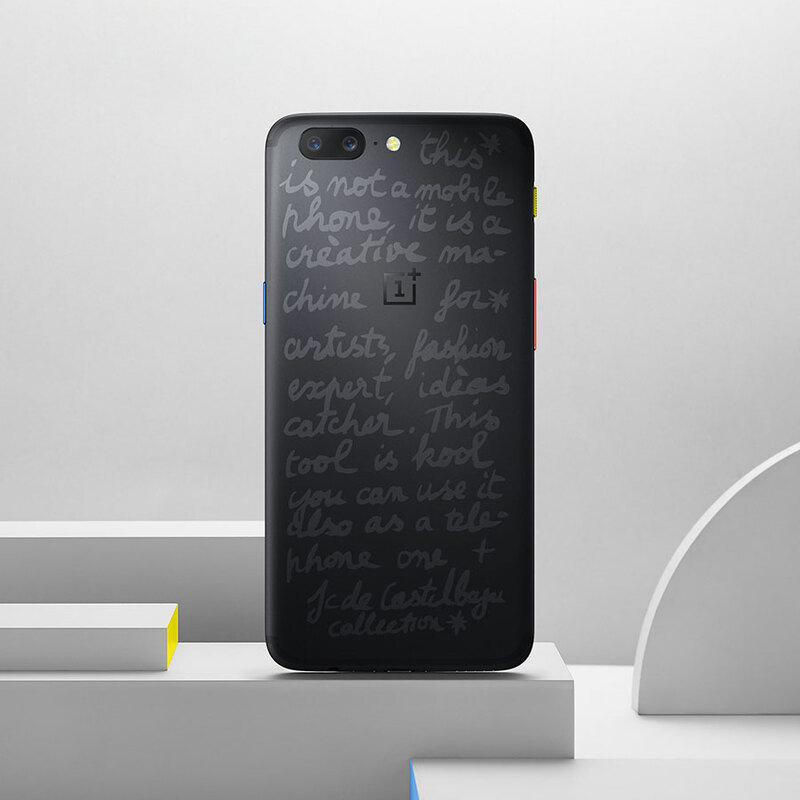 OnePlus has collaborated with famous French fashion designer Jean-Charles de Castelbajac to release a new product line including a limited-edition design of the OnePlus 5. The special edition OnePlus 5 has been named OnePlus 5 JCC. The JCC Edition OnePlus 5 will be available in Europe on October 2 starting at 559 EUR (Rs. 43,000 approx.). The new product line has been named ‘Callection’ by OnePlus. Apart from the OnePlus 5 special edition, the Callection will have a slew of products like holsters, bags, caps, and t-shirts. The company is going to host a pop-up event in Paris on September 22 to showcase its ‘Callection’ collection. The limited-edition OnePlus 5 will be available in Europe initially, and probably it will not be coming to India. Although, the company had launched a Soft Gold color limited edition OnePlus 5 in the Indian market recently. OnePlus 5 is the latest flagship from OnePlus. It comes in 6GB or 8GB RAM variants and its price in India starts at Rs 32,999 for the 6GB and Rs 37,999 for 8GB model. It comes with premium features like the Qualcomm Snapdragon 835 processor, 64GB or 128GB storage, and the dual 16MP+20MP cameras at the back. The Limited-Edition OnePlus 5 might not make it to the India, however, the ‘Callection’ line accessories can be purchased in India via OnePlusstore.in starting October 2. The limited edition “Callection” and “Never Settle” t-shirts cost Rs 1,999 and the tote bag will be available for Rs 1,599. Moreover, OnePlus is focusing on to increase its reach with getting into the offline channels. It recently announced a partnership with Croma Store to sell the flagship OnePlus 5.